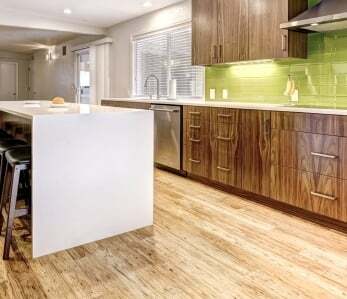 Home › Flooring › Green Living › Is Your DIY Project a Health Hazard? Is Your DIY Project a Health Hazard? Every day across the country many homeowners choose to tackle various DIY projects. For some it’s an enjoyable hobby they can take part in on the weekends. For others, it’s a way to raise the value of their home without having to hand over a small fortune to a group of hired contractors. In either scenario, these homeowners are often putting themselves in the direct path of hazardous chemicals and other byproducts that can cause them and their families harm. 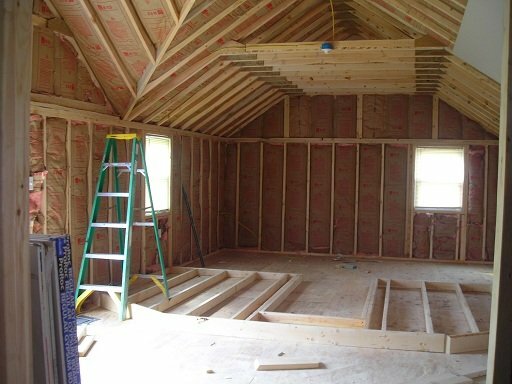 Whether it’s chronic allergies, increased asthma attacks, or even cancers, some building materials can be very dangerous and homeowners should be aware when dealing with them so they can renovate as safely as possible. Although new homes pose no risk of exposure to lead based paints, those built in the early 70s and prior, do. And let’s face it, it’s the older homes that most people are renovating. Over time exposure to lead in these paints can cause damage to the heart, as well as the central nervous, lymphatic and reproductive systems. It has also been found that lead is particularly damaging to a child’s development and can lead to learning disabilities. And let’s not forget about the four-legged family members; lead can be as harmful to your pets as to you. Depending on where you live, your house might be very susceptible to mold that grows in dark, cold, wet places. A homeowner in say New Jersey will have much more problems with mold than a homeowner in Arizona, where the climate tends to be warmer and dryer. Mold is ubiquitous and can be found in crawl spaces, inside of walls, surrounding pipes and anyplace else that holds moisture. And mold can cause a lot of health problems for people, particularly those with allergies and asthma. If you’ve recently moved into a house and have experienced an increase in coughing, nasal discharge and irritated throat and eyes, there’s a good chance you have a mold problem. It is advisable to wear a face mask if you believe your house has a mold problem. And though you may want to do your renovations yourself, mold can be a real problem to not only your health but the structure of your home, so it’s always better to seek the advice of professionals. Another common hazard found in older homes is asbestos. Back in the day asbestos was used to prevent the spread of fire and is generally found in a home’s insulation, roofing, ductwork, floors and around pipes. Exposure to asbestos can lead to a specific cancer called mesothelioma. Like lead, asbestos is transmitted through the air via inhalable dusts. For this reason if you suspect you have asbestos in your home you should wear a mask and the work area should be kept as dust-free as possible. What Other Steps Can You Take to Have a Healthy DIY Project? It’s not enough to try and avoid the possible toxic materials already in your house, you should take measures to keep other harmful chemicals out of your house as well. Any varnishes, paints or stains should be either low VOC or, preferably, no VOC. Many VOCs, such as benzene, xylene and formaldehyde are carcinogenics and neurotoxic and can cause everything from headaches to breathing difficulties to cancer. 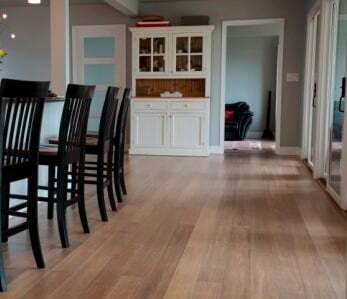 Although they cost less than hard woods, particle boards and plywood both contain formaldehyde-based resins which are used to bind the wood together. If these materials are used in the home they can actually emit harmful gases into the environment year after year. 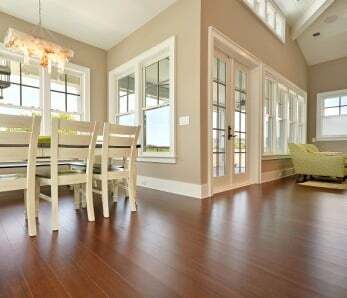 Another harmful building material in many homes is vinyl flooring. 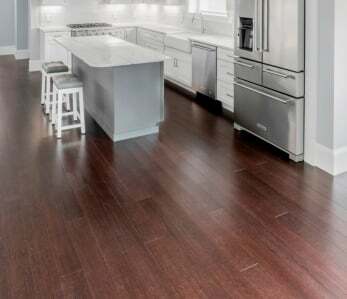 Sure, it may cost less and be somewhat easy to clean, but the PVSs in the flooring have been linked to hormone disruptions. If at all possible, avoiding using these harmful materials listed. 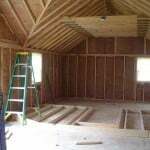 If budget does not allow for this, try and use materials in rooms that children will spend little time in. Kids, pets and pregnant women should not be exposed to the dust and debris from renovations. If friends are helping you with the project, make a separate entrance and exit that workers will come and go through every day and make sure this pathway is not used by your family. 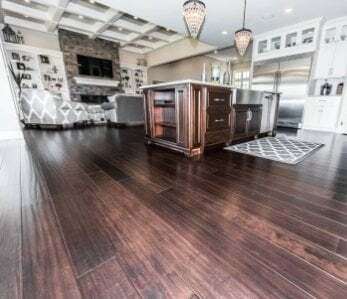 Also, remove rugs, furniture and drapery from the room you will work on as well as turn off all heating and air conditioning systems which will only add to the dust distribution. Seal off the renovation areas with plastic to help keep dust and debris from getting into other areas of the house. And, at the end of each day, be sure to clean up the area with mops and wet rags and get rid of any dust and debris from the day’s work, being sure to always wear a protective mask. It may be impossible to avoid coming into contact with dangerous materials while attempting DIY projects, especially in older homes, but by taking certain precautions you can make sure you and your family are protected. ‹ Are Your Computer Habits Green?